There is one element we’ve heard loud and clear from the retrospective of the three CLSxItaly events organised so far and attendees feedback: the Italian community management scene is in its early stage, with fragmented connections across the “professionals” of this world, especially if compared with other European countries. I have no doubt time will improve the current situation, but simply waiting for the good to come is something outside my way of doing. What if all these community managers working in and/or for the Italian landscape are dots, and we can do something to accelerate the organic process that will better connect them over time? At its core, CLSxItaly platform was born with this vision in mind, but in-person events alone haven’t provided the speed we expected. So,we decided to start a new project, to proactively scout, highlight and connect all these people and strengthen relationships inside this community of practitioners we all are part of. Please welcome the CLSxItaly interview series. Who you are and how are you connected with the Italian community landscape? What’s the best thing you’ve seen happening inside the community, or thanks to it? What has been the toughest challenge you’ve managed building the community? What’s your best tip for a person that wants to start as community manager/leader/builder, for profit or for fun? If you had a magic wand, what you would change or improve in the Italian community management scene? Who is the next person you know we should interview? As you can see, nothing terribly complex, probably the conversation will end in less than 10 minutes. Of course, feedback to the questions are welcome. So, there is a simple call to action if you are a community manager working in or for the Italian context: please reach me (or any other member of the CLSxItaly team) and we’ll be happy to have with you such conversation. Or suggest us one of these people to interview, if you aren’t. In any case, see you at the forth CLSxItaly, Nov 25th in Rome. More Community Leadership Summit X (CLSx) events in Europe! The blooming of European CLSx event in 2016 (Milan, Paris , Rome, London, Madrid) has laid the foundations for one of my 2017 bets: help growing this network, organizing more and more Community Leadership Summit X (CLSx) events across Europe and, why not, the rest of the world. There are several reasons, and the most important is I’m not alone believing time has come to make it real. Since October, in fact, Jono, Alessio and I have been discussing about a plan, and one of the first activity we did was validate it, reaching several other community managers spread all over Europe to get their feedback. Well, they all agreed on the genuinity of the vision, offered concrete support for running a CLSx event in their own city and added some important suggestion to the basic format. I’m happy when people feel empowered by an idea and offer their time to contribute! Another element supporting the plan was the lack of similar european-wide initiatives to share, discuss and peer-learning about community management topics. Of course, we can be wrong here, so please comment with the experience you’ve: we really want to be collaborative, and not competitive, with other groups already acting in this field. Also my personal passion plays an important role here: half of my soul is deeply committed to the world of communities, so want to jump on this challenge both as an occasion to improve in this field and to give back. Strengthened by all this backing, we consolidated the idea of having more and more events in Europe about the art of community management, with a special, but not unique, focus on online and offline (face-to-face) tech communities. Have a preferred target is important, but all the other kinds of communities are welcome: non-tech, open-source or co-working oriented, just to mentioning a few. And, of course, the nature of Community Leadership Summit X events will remain the same: very localized, “for people, made by people”. We’re all volunteers and there are no companies or economic interests behind. Passions and self-improvement drive us in pursuing this vision. And the licence frames very well the boundaries. We have a plan in mind, but it’s a draft plan and so we want to iterate on that. Right now is made by three major steps. As first move, we’re reaching our connections asking if they would like to facilitate the organization of a CLSx event. We’ve already received positive feedback from cities like Amsterdam, Berlin and London, in addition to previous CLSx event locations in Italy (Rome and Milan), France (Paris) and Spain (Madrid). It would be great to have 10 or more CLSx events happening in European cities in 2017. Secondly, we want to make the organization of a CLSx event as effortless as possible: an event-in-a-box guide to use as template, global sponsorship agreements to cover the very basic expenses like food, site templates, graphical resources to use for printing t-shirts, roll-up, mentorship on what works and what doesn’t etc, so event organisers can focus on the most important thing: create the local network, invite people, fire-up the discussion, enjoy while doing all of that. Third, we want to create a “place” where share, discuss and improve our own knowledge on community management topics: a community of community leaders and passionate. In our mind it should be an online community with an initial focus on Europe, with CLSx events as the occasions to strengthen relationships through face-to-face interactions: we’re social beasts, after all. Do you like the idea? Do you see missing points? Do you want to propose yourself as facilitator for organising an event in your city? Are you already part of a similar movement? Ping us, we’re eager to receive your feedback. After the first CLSxItaly, we added to the Slack a new channel to share interesting community management resources, like blogposts etc. It was good, because allowed us to continue the discussion with interesting ideas, mainly thanks to the tireless work of Alessio. But I felt we were missing something, like a broader sense of sharing with other community managers outside the Slack, that could be interested to same links too. Or an easy way to browse and search thru the different resources posted. Or a way to maintain the discussion visually connected with the different links posted, instead of a long stream of messages. I remembered that, in the old days, a dedicated service was created for link sharing and discussion, a service that has survived to the present days: Reddit. Don’t know about it? You should! Reddit looked to me the perfect place to post our resources, and turns out that a subreddit dedicated to community management already exists: r/CommunityManager. Great! But neither I could ask to all the CLSxItaly member to migrate from Slack to Reddit, nor force a double post on Slack and Reddit. Thankfully, IFTTT came again in handy, with channels for Reddit and Slack, plus others, so I was able to quickly implement a C.O.P.E. (Create Once, Publish Everywhere) strategy, using Reddit as source and then publishing the same content on the Slack content-sharing channel, Twitter and, potentially, many more. It also satisfy different kind of users with different kind of social feeds or tools habits (I, for example, still prefer RSS feeds aggregated by a reader). 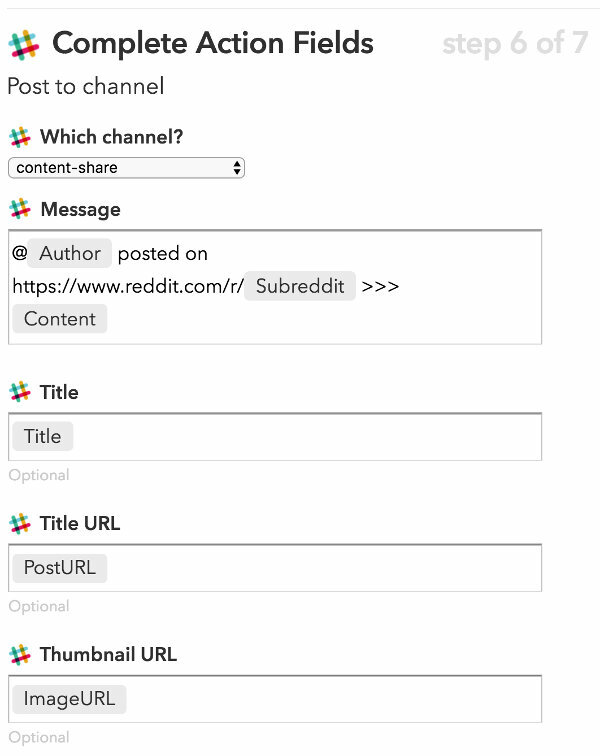 I created a new IFTTT recipe using Reddit channel for the “this” part and selecting the “Any new post in subreddit” trigger, using “CommunityManager” as parameter. For the “then” part, instead, I used the Slack channel with the “Post to channel” action. Too easy. Now, every time someone post a link in the r/CommunityManager, the Slack channel get a message (with a delay of some minutes). Is not that cool and complete as posting a link on Slack (with image, content snippet etc), but it works well. Summer is coming, so it’s time to plan a new round of national community summits for Google Developer Group communities before enjoying a long series of mojitos on the beach. Given the main objective of these summits, offer a dedicated learning/sharing moment on community management topics to the GDGs, this year we (my team and I) come up with the idea to use the summit to extend this moment to all the tech communities in the ecosystem. And because we’re already familiar with CLSx events, we decided to organise a CLSx as activity for the first day of the summit, and leave the second day focused on GDGs only, as it has always been. Why? Because GDGs are still at the center of our hearth, but we think we can do more for the entire community scene, so an open event for everyone interested in community management topics. Because we’ve seen that the true potential of the ecosystem can be unleashed if the communities collaborate each other: sharing speakers, best practices and other resources, mutually empowering, drafting a common mindset for the city / area. And all these process can start only if the different community leads in the same area know each other. Clearly, this is not true for all the cities in the same way, but it’s a good starting point. Finally, because we would also add our contribution to tackle the gender diversity issue in tech ecosystem, and working only with a set of tech communities doesn’t allow to have holistic approach this kind of issue requires. Where? In the countries we support where the GDG communities are already thinking at country level instead of a single chapter level, so used to learn by sharing and ready to mix with a new crowds without losing their own identities. We’ve selected Italy (Rome), Spain (Madrid) and France (Paris), among the countries we support. We’re instead going for a “traditional” community summit in the other countries (Netherlands, Nordics, Greece). 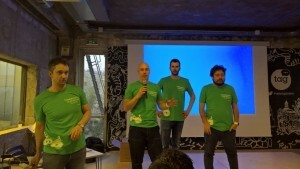 Are you interested in what happened during the first CLSxItaly? Take a look to the recorded morning sessions. Curious about my retrospective? Please keep reading. I’m excited because I get excited when one of my idea come to life and influence real people, in real life, and has an impact. So was CLSxItaly: from a thought I had in July to an occasion where 65 people met and shared around one the their passions: community management! 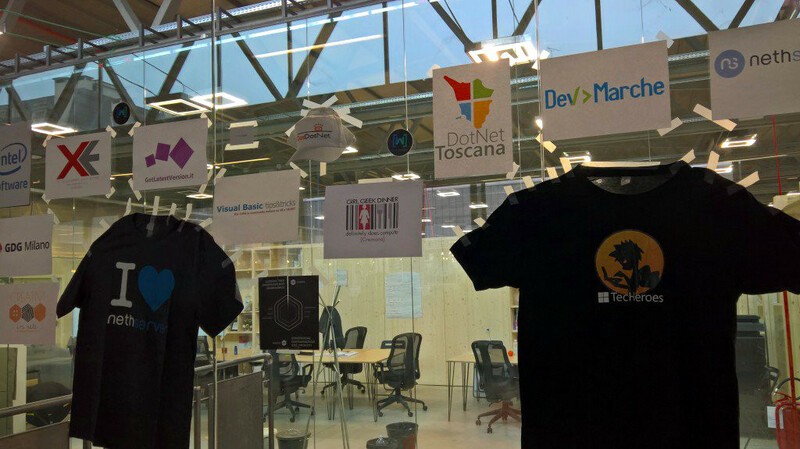 First time for Italy, as far as I know, first time, for sure, for technical communities. I’m excited because only half of the attendees came from technical communities, while the other half represented travel communities, open source projects, coworking and urban spaces, creative artists, maker and much more. I’m excited because we has a 35% women participation, and diversity matters. First personal gain was the core organisers team: discover that a spontaneous group of people is able to create a team that works great for accomplishing a particular tasks is always a bless! And so were Alessio, Michel and Stefano. Thank you guys, you make my small dream possible, and with style! Second important point was the umpteenth confirmation that a vision, passions and personal relationships are the three key tools to achieve any goal: the before mentioned organisers team gifted me with their own time and commitment; Davide had no hesitation when I asked him “We need a place to host 100 people for an event, and for free”; Francesco, Francesco and Mara+Chiara+Andrea put real money to make everything possible: they all believed in the same vision I had and, sustained by a common passion and connected by our personal relationships, we all morphed that vision into a real fact. Third key actor for the success of CLSxItaly were the attendees. Every time I received an Eventbrite notification that someone paid 15 euro to join, I though “Oh wow, another person that trusts in our idea”. The most important positive feedback we received were about the quality of the networking, the easy-going atmosphere and the constant sharing. All of them were only because of the quality of the attendees. Probably the non-free ticket for the event, the (still) niche topics discussed and the location helped to pre-selected the audience. Regarding the experience to offer to the attendees, selecting only two core goals and working all around them made the job. We choose to focus in creating a learning path equally composed by frontal teaching along a common narrative (the plenary sessions during the morning) and peer learning (the unconference in the afternoon), plus special care in creating lot of occasions to get in touch each other and warm-up relations as soon as possible. All the rest followed: over the two coffee breaks, the lunch and the aperitif I saw lot of different aggregation groups, and this was positive. Despite just a bounce of folks have participated to an unconference before CLSxItaly, the general feeling was positive. I lead an unconference session regarding next steps for CLSxItaly. We had some ideas to run the next event in Rome in six months, drive by people of the local context. Let’s see. For sure, I want continue what has been started in Milan. But, as for Milan, I cannot do it alone. Wanna help? Join the discussion! 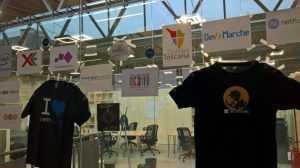 Some months ago, I threw a stone in the pond: I launched the idea to organize an event focused on community management for the Italian tech community ecosystem. Something new for our country, never realized before, something I consider really helpful for the peculiar ecosystem situation we’re living now. Thanks for all the support and feedback I’ve received so far, the ideas has became reality. On February 27th, in Milan, Talent Garden Calabiana is hosting the first CLSxItaly. Should you come? If you’re the manager of a tech community of any kind (development, makers, operative systems and many more) and you want to learn more about your “job/passion” as a community manager, definitively yes! If your company is working on a technical product and considers the community a crucial part of its development cycle, you should come. If you think you have something to say about diversity in the IT world, you have to come! How the event will be? A Community Leadership Summit X event type follows a precise licence, so the CLSxItaly will. The event will start on Saturday morning with plenary sessions (have ideas? Ping me please! ), then the lunch and then the afternoon will be dedicated to unconference sessions, where participants can discuss topics, needs and ideas they like. A final aperitif will close the day together. This is the “official program”, them I’m sure lot of satellite events will happen, at the end community managers live on that! 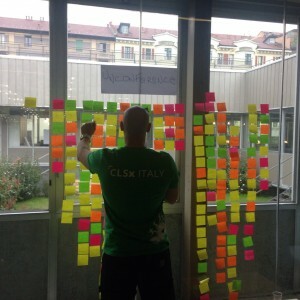 What are the CLSxItaly’s goals? First, meet the other Italian community managers face to face. As already discussed, I know different tech communities that have gathered under a national umbrella (GrUSP, GDG Italia, UGIdotNET, JUG, LUG etc), but I also know they don’t exist important cross-community relations, so the event can be the occasion to create them: similar experiences I had in other countries told me that it can only be a good thing. Then, I don’t know about any occasion in Italy to discuss, explore, share and experiment around the “art of community management”, so why don’t create one? Finally, I want to give back: communities have always been one of my passions since the far 2007, when I founded the CMLug, until today, when they are part of my daily job. And passions matter! So, save the date (February 27th, Milan), spread the voice using the CLSxItaly hashtag and, if you’re interested in joining the adventure, please let me know, even in the comments: there are plenty of things to do (and to learn) and your hand, although small, is more than welcome. To make it more clearer: we need to start from the basics, from building the website… Any help on that?